Slice through a tender roast with this carving knife from the Victorinox Rosewood Forged Collection. 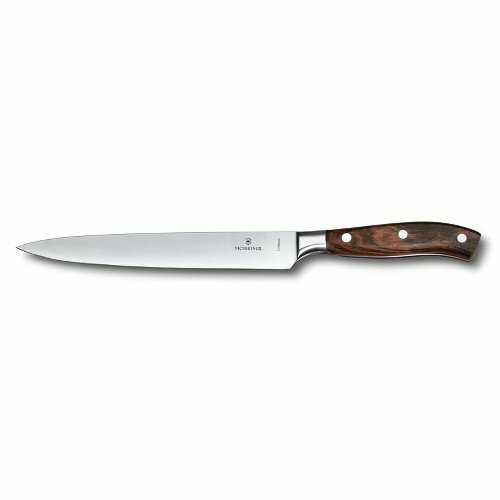 With a stainless steel blade and triple-riveted rosewood handle, this knife is ergonomically shaped and beautifully balanced. The carving knife features a straight blade for smooth slicing. This knife is sure to become a permanent staple in your kitchen.